1,400 pages | 140 B/W Illus. Thoroughly examining tuberculosis from historical, theoretical, and clinical perspectives, this Third Edition merges state-of-the-art research developments with principles of programmatic TB management. Each of the 50 chapters analyze current studies on TB mechanisms and treatment and will meet the needs of all who work in the field of TB control, whether in low-income, high-prevalence areas or in low-prevalence industrialized countries. "…If any data were needed to commend continued vigilance in the battle against tuberculosis, this [book] is the place to find it." 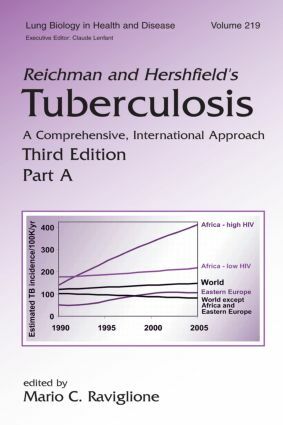 "…a stand-alone reference for anyone involved in the treatment, control, and prevention of tuberculosis, and it is highly recommended." "…a veritable Who's Who in tuberculosis research and control."